The first movie theater building in Uptown still stands. Redesigned and Expanded: January 1916. 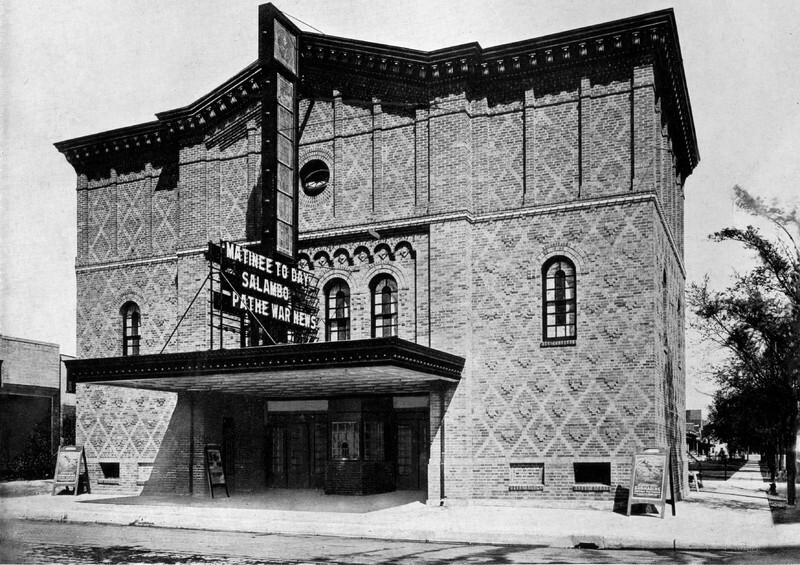 The Calhoun Theatre -– also known as the New Calhoun Theatre -- was Lake Street’s first neighborhood movie theater west of Blaisdell Avenue. Just one block from the sophisticated Hennepin-Lake shopping district, the Calhoun quickly came to be seen as a neighborhood cinema that was the equal of downtown movie palaces. The theater received enthusiastic reviews from both local and national periodicals. 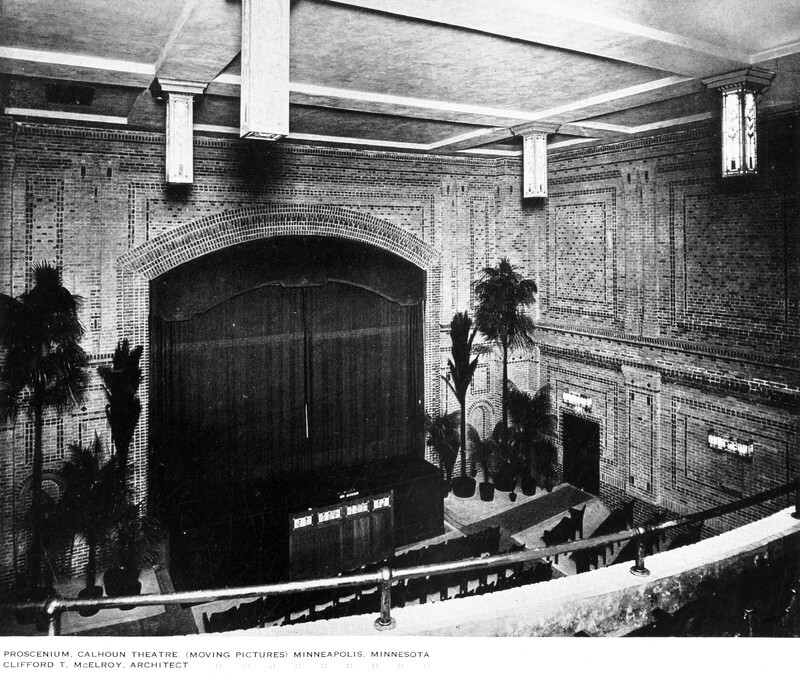 The Calhoun was an entertainment destination for residents from all around the city as well as for those living in nearby neighborhoods referred to at the time as Minneapolis’s “Gold Coast.” Partly in response to fears that movies might corrupt children, the theater manager, Prosper Schwie, worked with women’s clubs and PTAs to plan appropriate programs for children. 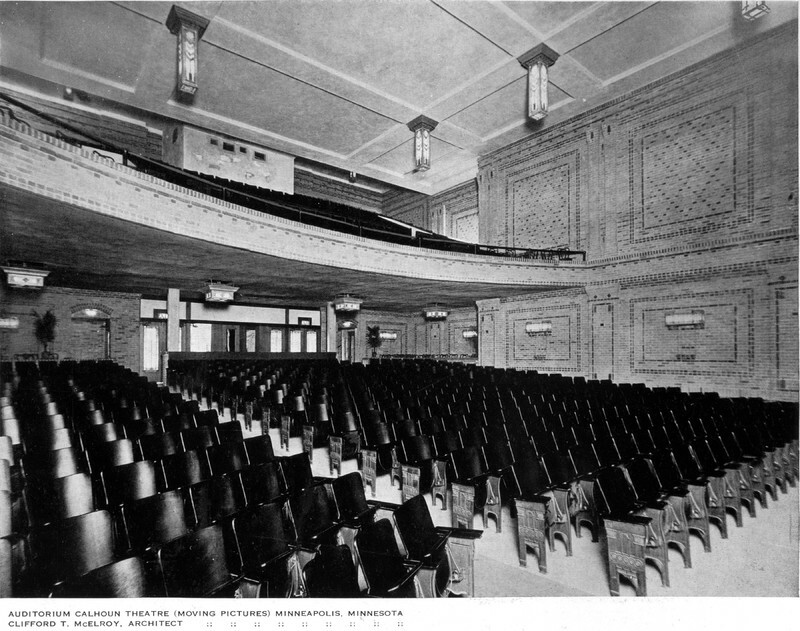 The theater was so successful that its initial capacity of 800 was increased to 1,400 within a year of its opening. The three-story Italian Renaissance Revival façade featured diapered (i.e., diamond-patterned) brickwork with protruding diamond shapes. Tall arched multilight windows accent the façade’s lower portion while pilasters form a ribbed pattern under the bracketed, corbelled and pedimented cornice – more detail than on most suburban movie houses. On the interior walls, two shades of brick were used to create a series of large rectangular panels, some of which frame diapered patterns similar to the exterior. All of this was originally accented by elegant art glass light fixtures. Despite early acclaim and popularity, the Calhoun was used as a movie theater for less than a decade. In 1922, owners Finkelstein and Ruben closed the theater and reopened it as the Calhoun Terrace Dance Hall, later renamed the Uptown Ballroom. Since then, the building has been used as an automobile garage, the Twin Cities Dental Academy, retail stores, and restaurants; the current incarnation (2017) is Stella’s Fish Café and Prestige Oyster Bar. 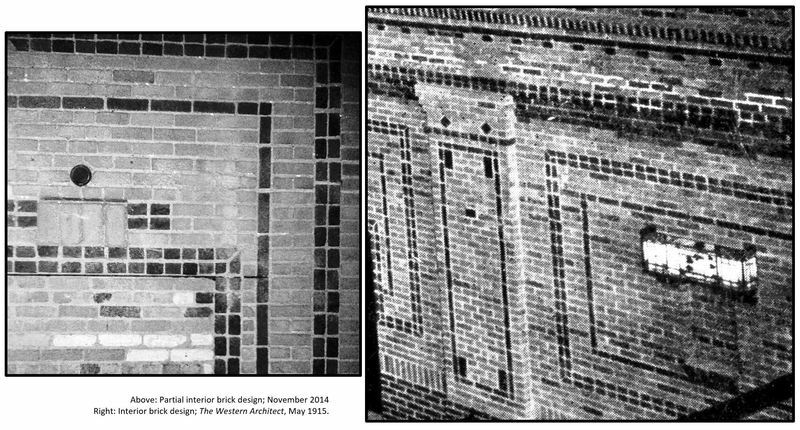 Remarkably, despite these numerous changes, the interior walls retain much of the original brick work. 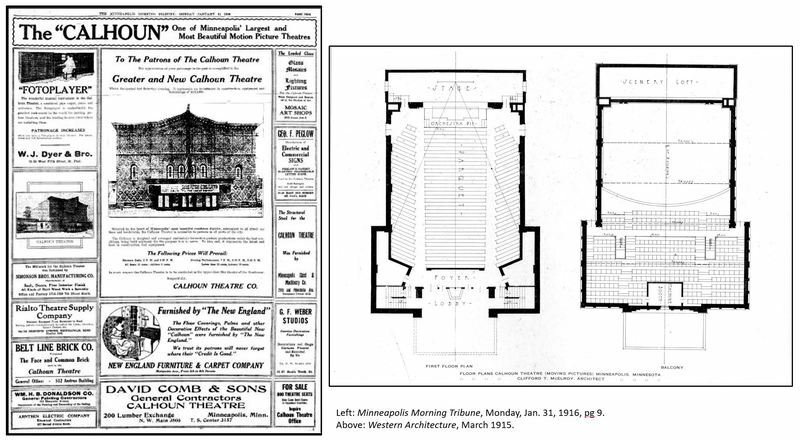 Edited by Richard L. Kronick, “The (New) Calhoun Theater,” Minneapolis Historical, accessed April 22, 2019, http://minneapolishistorical.org/items/show/138.